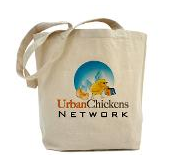 Urban Chickens Network blog: Conan endorses Extraordinary Chickens! If you watch the Tonight Show with Conan O'Brien, you know that Conan has proclaimed himself "The New Oprah" what with her deciding to quit and all next year. And as The New Oprah, Conan's making recommendations on what Americans should buy, hoping to have the same rocket-to-the-top-of-the-charts effect that Oprah's book club has had all these years. His first recommendation, a DVD, got a 126% boost in interest the week after he pimped it (not bad). His second product recommendation is the Extraordinary Chickens 2010 Wall Calendar and it's zoomed up the purchase charts, too. I think I'm going to have to get me one for my wall. thank you for your extraordinary chicken information. The more I keep chickens, the more I learn there is more to learn. It is such a joy!